Keep Ball - 6 v 4 pass into end square go in. Looking fo overlaps, one twos, offer support. Understanding when to play forward or back. 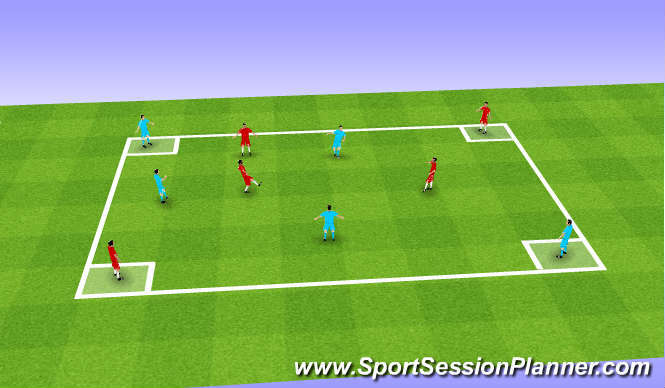 Passing inside outside of feet (turns) Skills turning. Overlaps. Support side on to recive passing into space. Endurance, aerobic, anerobic, physical strength. Communication, team play & understanding . confidence. Players enjoyed it. lots of pace speed and understanding. passing was to a high standard. no passes over head height so players have to work harder to create angles of support.